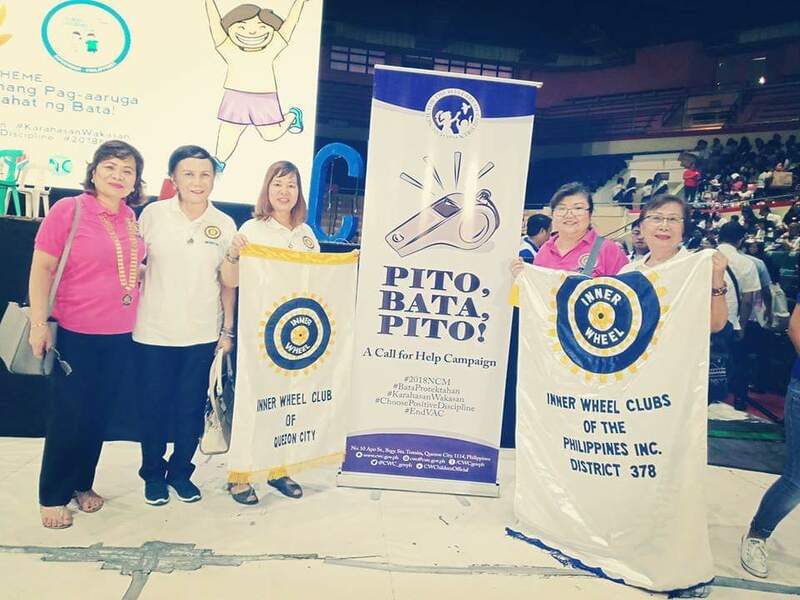 Inner Wheel Club of Quezon City launched its ECOSOC Project “Pito, Bata, Pito : A Call 4 Help Campaign” which aims to equip children signal help and alarm people with a whistle during emergency situations, harrassment, violence, abuse or in calamities. The project is in linkage with The Council for the Welfare of Children (CWC). Donated whistles will be distributed to public school students all over the country. The first batch of whistles was turned over to CWC during the IWC QC 58th Induction and Anniversary Celebration last August 25, 2018. The project was adopted as one of the collaborative projects of IWCPI District 378 clubs on Rights of Children. 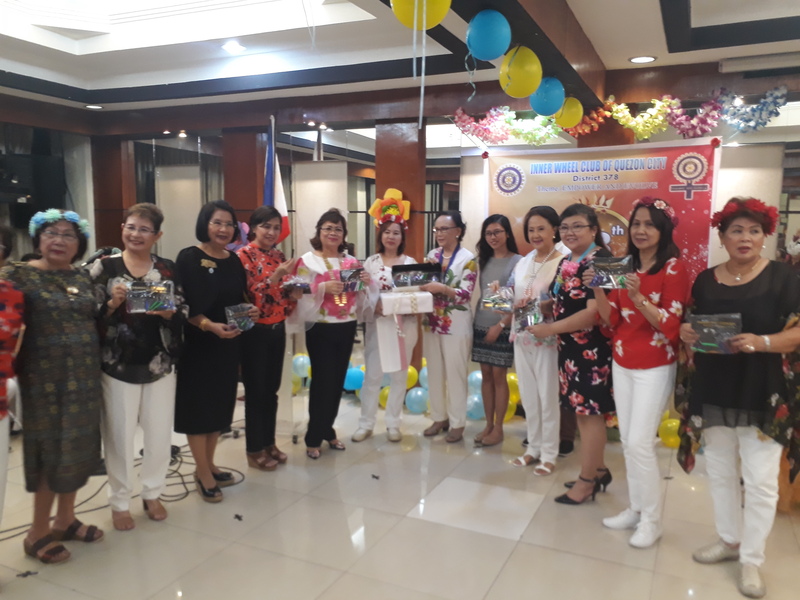 The second batch, donated by Inner Wheel Clubs of Cubao Edsa, Greenmeadows, Holy Spirit, San Francisco del Monte, Turquoise and Congressional Infinity, was turned over last October 15, 2018. 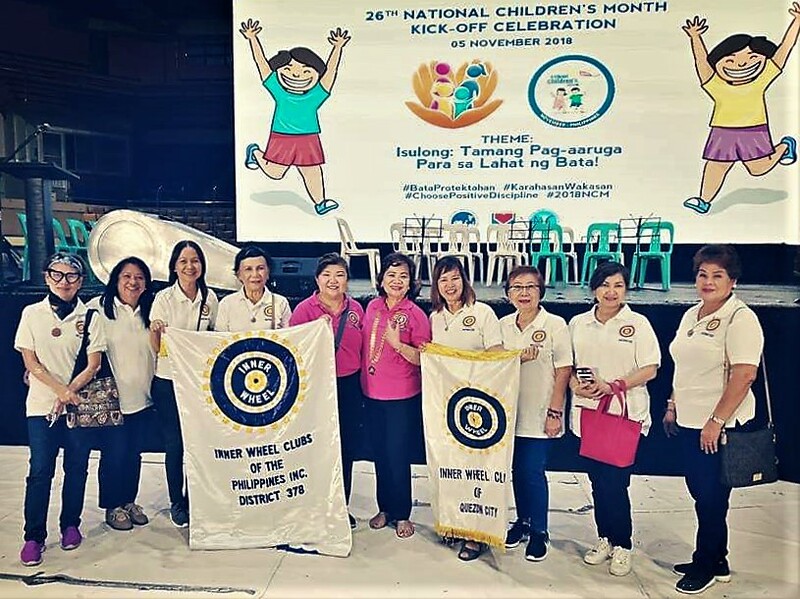 On November 5, 2018, members of inner Wheel Club of Quezon City led by President Rufina “Nini” Jorge, together with District 378 Chairman Khristtine Ngo and IWCPI National President Donna Jiao attended the National Children’s Month at the Cuneta Astrodome where this project was launched by CWC. IWCPI was presented as one of the partners of CWC for this project. Also present were National Vice President Thelma Ortiz and Inner Wheel Club of Congressional Infinity Charter President Rose Marie Villanueva. The event was attended by almost 2000 children from all sectors. The project was made possible through the efforts of GO/NGO Linkage Committee Chair IWC Quezon City Past President Tita Alagar.